Join the two ends temporarily. 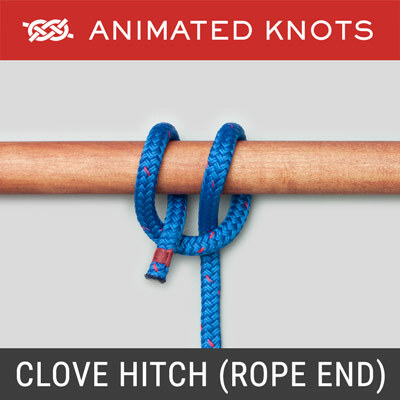 Wind the rope around your hand so that the join is by your finger tips. Go around again. Fold the join back and then up under the other ropes. Push the knot off your hand and tighten to see the appearance of the Alpine Butterfly. Finally, release the temporary join. Uses: The Alpine Butterfly Bend is derived from the Alpine Butterfly, or Lineman’s Loop (ABOK # 1053, p 191). 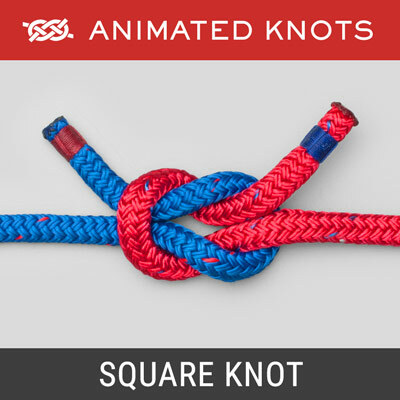 It is one in a family of knots based on interlocking overhand knots. It is a reliable bend used to join two ropes of roughly similar size and can be untied even after being heavily loaded. 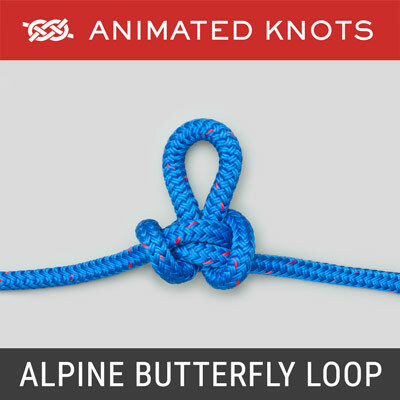 The Alpine Butterfly Bend version enjoys a good reputation – probably because of its association with the better known Alpine Butterfly Loop. The Alpine Butterfly Bend is remarkably similar to several other bends including the Zeppelin, the Hunter’s, and the Ashley. Essentially these knots employ interlocking overhand knots with the ends threaded through or across the middle. David M. Delaney tested these bends and the Carrick Bend for their tendency to jam. He heavily loaded the knots tied in 1/16 inch braided nylon. The Ashley and the Hunter consistently jammed tight and would have had to be cut to release them. The Alpine Butterfly Bend, the Zeppelin, and the Carrick could all be untied easily using fingers and fingernails. Amongst the family of bends based on linked overhand knots, it would seem prudent to avoid the Ashley and the Hunter’s. Tying it: Several methods are described for tying the Alpine Butterfly Bend. We devised the method which is used in the animation. It is an improvement on other “hand-winding” methods and helps locate the junction and where it is to be tucked. This simple technique sets the Alpine Butterfly Bend apart and makes it one of our preferred options. Variation: Our technique does not require the ends to be joined. After the initial wrap, tuck the end of the first rope between your fingers. Then tuck the end of the second rope beside the first and complete the wrap. The two ends can then be passed together as though they were taped. Evil Impostor: Correct tying of the Alpine Butterfly Bend is critical. Roo illustrates the Evil Impostor which results from threading the ends incorrectly. The Hand-Wrapping technique introduced here is designed to avoid this risk. Advantages: The Loop version enjoys the reputation of reliably accepting strain between the ends or between the loop and either end. In this version the loop doesn’t exist and the strain only falls between the two ends. It has a reputation for strength and reliability. 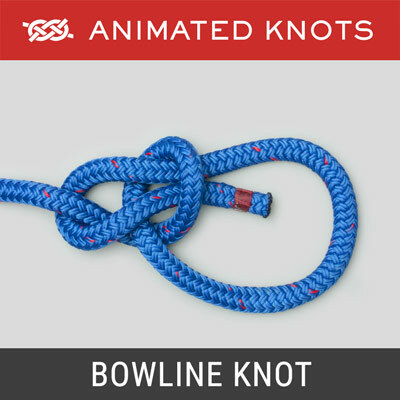 The big advantage of the Alpine Butterfly Bend is its similarity to the Alpine Butterfly Loop – which means learning only one widely trusted knot – and one that is easy to undo even after a heavy load. 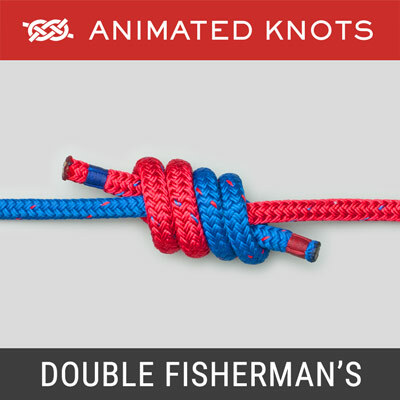 Breaking Strain: The Alpine Butterfly Bend, like the other similar knots, passes the strain around the pair of ends in the middle. This double thickness should minimize the kinking and help to preserve strength. 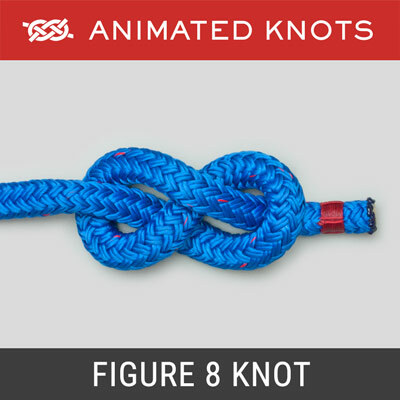 Indeed, the knot is commonly described as “one of the strongest”. However, some quoted breaking strains are as low as 53% to 58% – similar to breaking strains for many other knots.